There is no better way to seek inspiration for your drawing and painting than getting out and about in the town or country and sketching ‘en plein air’. 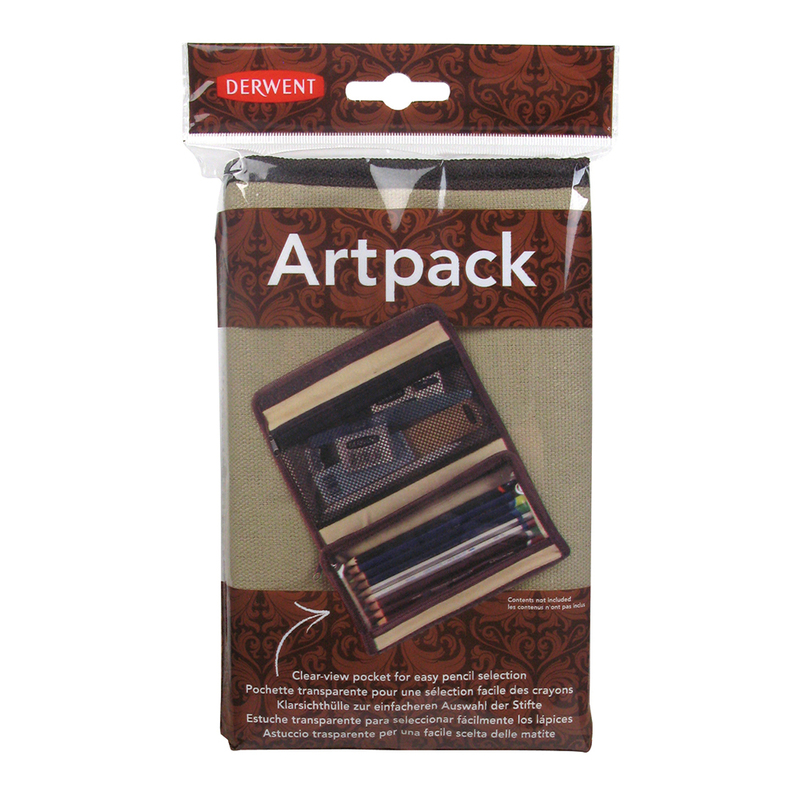 The Artpack is the ideal companion providing a convenient and safe way of carrying your pencils and accessories when on the move. 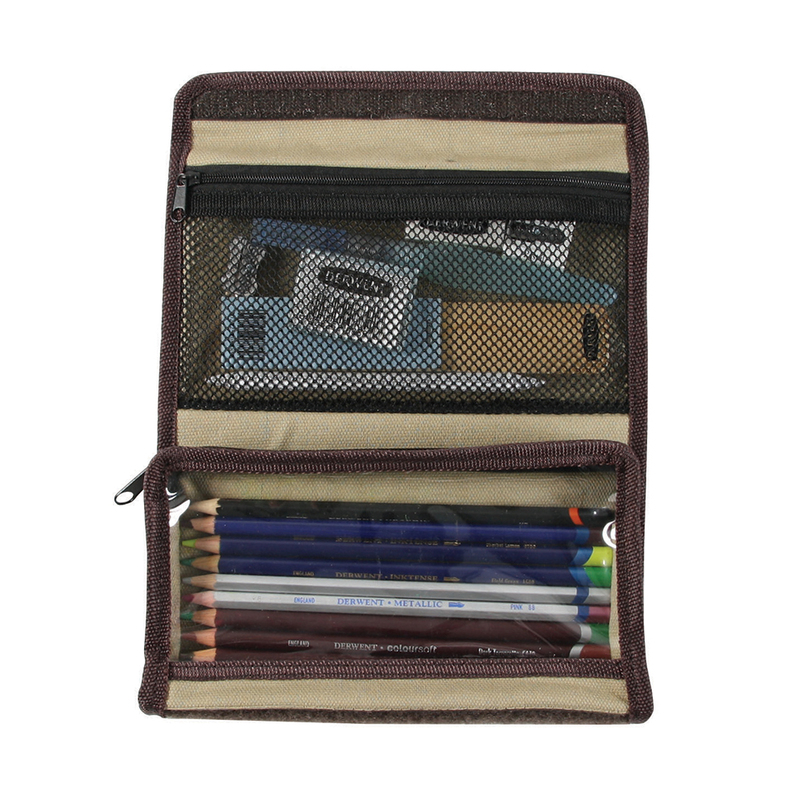 Made from robust and sturdy light brown canvas with a complimentary dark brown trim, it also features two pockets; one clear view pocket for easy pencil selection and one mesh pocket to hold those all important drawing accessories. Both pockets have a zipper closure to prevent items falling out while travelling. The Artpack is a neat and handy size, being slightly smaller than A5 and less than an inch deep when closed (115mm x 200mm x 20mm). It can easily be slipped into a shoulder bag or backpack. 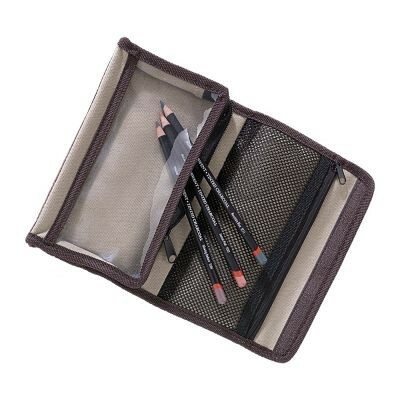 When you want to use your favourite pencils it opens flat for easy access and once finished just folds over and is secured with a Velcro fastening.